Description: An automation Linux distributive of the project OpenSCADA representing, tracing and managing. Currently based on the Debian Linux. Original "i586" (mirror), APT:"rpm ftp://ftp.oscada.org/ALTLinux/5/branch i586 classic"
Original "noarch" (mirror), APT:"rpm ftp://ftp.oscada.org/ALTLinux/5/branch noarch classic"
OpenSCADA repository, APT:"rpm ftp://ftp.oscada.org/ALTLinux/5 openscada main"
Original "i586 classic and debuginfo" (mirror), APT:"rpm ftp://ftp.oscada.org/ALTLinux/6/branch i586 classic debuginfo"
Original "noarch" (mirror), APT:"rpm ftp://ftp.oscada.org/ALTLinux/6/branch noarch classic"
OpenSCADA repository, APT:"rpm ftp://ftp.oscada.org/ALTLinux/6 openscada main"
OpenSCADA repository, APT:"rpm ftp://ftp.oscada.org/ALTLinux/7 openscada main"
Live-disk for desktop (May 2010), built by the profile " mkimage-profiles-5-desktop"
Generic PLC firmwares (tarballs) (May 2010), builds by the profile " mkimage-profiles-5-plc"
ICP-DAS PLC firmwares (tarballs) (Feb 2010), builds by the profile " mkimage-profiles-5-plc-LP8x81"
Project's "ACS TP of the ball mills "ШБМ 287/410" of the boiler "БКЗ 160–100 ПТ"" (Sep 2010) Live/Install/Service disk, built by the profile "mkimage-profiles-5-KramMill". Live-disk for desktop (Aug 2012), builds by the profile " mkimage-profiles-6-kdesktop"
Generic PLC firmwares (tarballs) (Mar 2012), builds by the profile " mkimage-profiles-6-plc"
ICP-DAS PLC firmwares (tarballs) (Mar 2012), builds by the profile " mkimage-profiles-6-plc-LP8x81"
Project's "Bagley Coke Boiler #1 dispatching system" (Aug 2012) Live/Install/Service disk, built by the profile "mkimage-profiles-6-bagley". Project's "Kramatorsk Water" (Feb 2014) Live/Install/Service disk, built by the profile "mkimage-profiles-6-KramWater". The ALTLinux distributive using by the author Roman Savochenko started from version 3 and for the Automatic Distributive it was from version 5.1. Into year 2014 for the Automatic Distributive and other was started moving to Debian package base mostly by reasons into appendix. branding-altlinux-kdesktop [noarch] Distro-specific packages with design and texts, corrected by Roman Savochenko to: TextWidth set to 0 (Auto) for kdesktoprc; Kicker default apps set to: kde-konqbrowser.desktop, firefox.desktop, kde-krusader.desktop, writer.desktop, calc.desktop, impress.desktop. tzdata-cor2014i Last corrected timezone of the Crimea as the Ukrainian part and not the Russian occupied territory! skype [i586] Skype keeps you together. Call, see, message and share with others. Taken from an official source. kernel-image-domU-un-old [i586] Linux kernel built of version 3.4.89 for pure i586, for old CPU like K6. kicad [i586] An open source software for the creation of electronic schematic diagrams, Roman Savochenko actual version built. libkdcraw [i586] C++ interface around dcraw binary program, dcraw update to 9.19.
propagator [i586] 'Early userspace' set of binaries, EXT4 detection added. teamviewer_linux [i586] TeamViewer (Remote Control Application). Taken from an official source. util-linux [i586] A collection of basic system utilities, the version 2.22.1 built for critical problems of the version 2.20.1 into the PLC (AUFS) environment fix. valgrind [i586] Valgrind, an open-source memory debugger for GNU/Linux, the version 3.8.1 built. adobereader-enu [i486] Adobe Reader 9.5.5. Taken from an official source. kernel-image-rt1-up-2.6.29-alt1 [i586] Linux kernel built of version 2.6.29 with PREEMPT RT patches, built by Roman Savochenko. bootloader-utils [noarch] Bootloader utilities, built version 0.5.18.
livecd-install [noarch] Permanently install Live system package, includes some fixes and adaptions to the LiveCD build. mozilla-plugin-adobe-flash [i586] Adobe Flash Player version 11.1.102.63, for some compatibility. kernel-image-rt-up-2.6.29-alt2 [i586] Linux kernel built of version 2.6.29 with XENOMAI RT patches, taken originally for ALT 5.1. VariCAD_View [i586,x86_64] VariCAD -- 3D&2D CAD system. Taken from an official source. kiosktool [i586] KIOSK administration admin tool, built for TDE 3.5.13-sru. smb4k [i586] Samba (SMB/CIFS) share browser for KDE, built for TDE 3.5.13-sru. rar [i386] RAR is a powerful archiver, Shareware version 4.2.
subtitleeditor [athlon] Subtitle editor for GNOME, built for ALT 5.1.
smbnetfs [i586] SMB filesystem using FUSE - mount network neighbourhood, version 0.5.3 built. samba [i586] Server and Client software to interoperate with Windows machines, version 3.5.6 built. opera [i386] Opera Web Browser for Linux, dynamically linked to Qt3. Taken from an official source. gd2-noxpm [i586] A graphics library for drawing image files in various formats, built without XPM and then have not a XOrg dependencies. Used into busy PLC without GUI. rar [i386,amd64] RAR is a powerful archiver, Shareware version 3.8.
nut [i586] Network UPS Tools version 2.4.1, built without chroot by Roman Savochenko. startup-plc [noarch] The system startup scripts for plc firmware by Roman Savochenko. krusader Adaption and upgrade to TDE 3.5.13-sru. Patched by Roman Savochenko for: Chdir for copy into krarc is fixed for Cyrillic and generic UTF-8; Problem rar adding option -r is removed for prevent hang and scan source directory. ufoai Versions 2.3, 2.4 build and backport to T6, 5.1.
arts Return to Sisyphus and the branches. Adaption and upgrade to TDE 3.5.13-sru. kdebase Adaption and upgrade to TDE 3.5.13-sru. Patched by Roman Savochenko for: Kicker systemtray icon resize event force send on embedding, mostly for GTK3 applications prevent the icon default size 4x4 (kicker-systemtray-gtk3-size.patch) and KJobViewer crash from system tray on exit fix and adapt for automatic start to tray (kjobviewer-crash-autostart.patch). kdelibs Adaption and upgrade to TDE 3.5.13-sru. Patched by Roman Savochenko for: KRandr translation using fix (krandr-transl.patch) and KJobViewer crash from system tray on exit fix and adapt for automatic start to tray (kjobviewer-crash-autostart.patch). amarok, celestia, k3b, kaffeine, kbfx, kde3-yakuake, kdesvn-kde3, kdmtheme, kkbswitch, knowit, kpowersave, ksplash-engine-moodin, ktorrent, kwlan, qalculate-kde, sim Adaption and upgrade to TDE 3.5.13-sru. kde-i18n-ru Actualization of Russian translation by Roman Savochenko for TDE 3.5.13-sru, for kdelibs and kdebase. kde-i18n-uk Actualization of Ukrainian translation by Roman Savochenko for TDE 3.5.13-sru, for kdelibs and kdebase. ksubtile Adaption and upgrade to TDE 3.5.13-sru. Patches by Roman Savochenko: Curpos length activate and set realized. Line3 connection is fixed. hal Working without the UDEV events socket by direct libudev is implemented by Roman Savochenko. alterator-lilo Patch by Roman Savochenko: 'udevadm trigger' into backend3 script call disable for prevent Video-XOrg crash for mostly ATI Radeon and old NVidia. fuse-smb Patches by Roman Savochenko: Crash fix on write, cache problem at a node rename and write speed increase; Removing not resourced threads from fusesmb.cache for correct work allow; Smbclient library detect fix, from samba 4.0.
alterator-livecd Backport to T6: don't use unsquashfs, just copy files (closes: #27786) from Mikhail Efremov. compiz kde3 (TDE): kde-window-decorator build return. libcomedi Version 0.10.0 build and backport to T6, 5.1.
kvkbd Adaption and upgrade to TDE 3.5.13-sru. Patches by Roman Savochenko: Shift toggle fix (kvkbd-0.5-shift-togle.patch0. gkrellm Ukrainian+Russian by Roman Savochenko translation append/update. 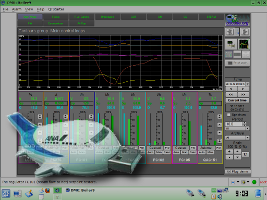 goldendict Backport to T6 and 5.1: Version 1.0.1.
freedroidrpg Version 0.11 build and backport to T6 and 5.1.
gkrellm-radio A gkrellm plugin to control radio tuners on linux. Patched by Roman Savochenko for V4L2. OpenSCADA repository, APT:"deb ftp://ftp.oscada.org/Debian/7/openscada ./"
Trinity DE repository "main-r14 and deps-r14" (mirror), APT:deb ftp://oscada.org/Debian/7/trinity-sb/ wheezy main-r14 deps-r14"
OpenSCADA repository, APT:"deb ftp://ftp.oscada.org/Debian/8/openscada ./"
Trinity DE repository "main-r14 and deps-r14" (mirror), APT:deb ftp://oscada.org/Debian/7/trinity-sb/ jessie main-r14 deps-r14"
OpenSCADA repository, APT:"deb ftp://ftp.oscada.org/Debian/9/openscada ./"
Trinity DE repository "main-r14 and deps-r14" (mirror), APT:deb ftp://oscada.org/Debian/9/trinity-sb/ stretch main-r14 deps-r14"
Live-disk for desktop with OpenSCADA and TDE for hardware platform x86 (Jul 2015), builds by the live build configuration " live7-32". Live-disk for desktop with OpenSCADA and TDE for hardware platform x86_64 (Jul 2015), builds by the live build configuration " live7-64". Live-disk for desktop with OpenSCADA and TDE for hardware platform x86 (Jul 2015), builds by the live build configuration " live8-32". Live-disk for desktop with OpenSCADA and TDE for hardware platform x86_64 (Jul 2015), builds by the live build configuration " live8-64". Project's "Kramatorsk mills" Live/Install/Service disk with OpenSCADA and TDE for hardware platform x86 (Sep 2015), built by the live build configuration "live8-32_KramMill". Live-disk for desktop with OpenSCADA and TDE for hardware platform x86 (Jul 2017), builds by the live build configuration " live9-32". Live-disk for desktop with OpenSCADA and TDE for hardware platform x86_64 (Jul 2015), builds by the live build configuration " live9-64". The Debian distributive in using of the author Roman Savochenko and for the Automatic Distributive started from version 7 (Wheezy) into year 2014 as replacing of previous packages base is ALTLinux. adobereader-enu [i386] Adobe Systems, Incorporated Adobe Reader 9.5.5. Taken from an official source. fusesmb [amd64] Samuel Mimram SMB to file-system reflection by FUSE. Some patches by Roman Savochenko for it working fix. libnatspec [i386,amd64] Andrew O. Shadoura This library provides userful functions for dealing with locales and charsets. Built for natspec.patch of the package "unzip". live-config-tde [all] Roman Savochenko Additional Configuration Scripts for Debian Live for Trinity DE configuring into the Live-disk environment. mc [i386,amd64,armhf] Debian MC Packaging Group GNU Midnight Commander version 4.8.14 built for Debian 7.
ms-sys [i386,amd64] Gürkan Sengün Write a Microsoft compatible boot record. Built for the Live-disks writing to FAT allow. ru-tts [all] Roman Savochenko Russian text-to-speech tool. skype [i386] Skype Technologies Skype keeps you together. Call, see, message and share with others. Taken from an official source. task-tde-desktop [all] Roman Savochenko This task package is used to install the Debian desktop, featuring the TDE desktop environment, and with other packages that Debian users expect to have available on the desktop. tdebase-trinity [i386,amd64,armhf] Timothy Pearson Base components from the official TDE release. Patched by Roman Savochenko for: kicker-systemtray-gtk3-size.patch and kjobviewer-crash-autostart.patch. tdelibs-trinity [i386,amd64,armhf] Timothy Pearson Core libraries from the official Trinity release. Patched by Roman Savochenko for: krandr-transl.patch and kjobviewer-crash-autostart.patch. unzip [i386,amd64] Santiago Vila Files .zip unpacker. Patched for file names in Cyrillic correct represent by "alt-natspec.patch". gkrellm-radio [i386,amd64] Sjoerd Simons A gkrellm plugin to control radio tuners on linux. Patched by Roman Savochenko for V4L2. tdebase-trinity [i386,amd64,armhf] Timothy Pearson Base components from the official TDE release. Patched by Roman Savochenko for: kjobviewer-crash-autostart.patch. tvtime [i386,amd64] Debian QA Group Application for watching TV. Patched by Roman Savochenko for ALSAMixer support. Native localisation to Ukrainian and Russian + (very good) +- (only Russian with some plays into Ukrainian, Belorussian, Kazakh and other near neighbors).